EDITED 3/13 TO ADD: Responding to a storm of criticism generated in part by this blog post, Random House has announced new contract terms for Hydra, Alibi, Flirt, and Loveswept. Over the past few years, more and more trade publishers have created digital-only imprints. Another new one just popped up in my newsfeed today: Little, Brown UK's Blackfriars will be launching its first list this coming June. I wasn't alone in this impression--much of the news coverage of the new imprints speculated that Random House was attempting to snag self-publishers, what with the imprints' focus on short content, their willingness to accept previously-published books, and their literary-agent-optional submission procedure. Authors who are accepted by Hydra and the others will have access to professional editors and designers, and will benefit from Random House's publicity team--just as with conventional imprints. If they desire the prestige of being able to say they're published by Random House, they'll have that too. Even so, I can't help feeling that, with digital-only or digital-mostly imprints, print-based publishers are offering a kind of second-class publication. Ebooks are still experiencing triple-digit growth, but they're only one of several formats, and publishing in a single format limits your audience. For volume sales, print is still important, and a lot of book discovery still happens in bookstores. There's also the fragility of digital content, where formats are regularly and rapidly rendered obsolete by the advance of technology. It seems to me that digital imprints require authors to embrace the limitations of digital publishing, without providing any of the offsetting advantages that are available to digital self-publishers--namely, control over format and pricing, and the freedom of not being tied to a restrictive contract. Meanwhile, the publisher can push books into a growing marketplace at a much lower cost than with a conventional imprint, and reap the profits. Perhaps I'm just too conditioned from having grown up, and begun my writing career, in a time when print was all there was. Not that I'm anti-digital, or resistant to new technology--quite the opposite. But I'm willing to admit that my reservations about digital imprints may have something to do with the fact that I prefer to read print, and am sad at the thought that we're heading for a future in which many books will never have physical existence. On the other hand...what if digital imprints are offering second-class contracts? - It's a life-of-copyright contract that includes both primary and subsidiary rights. - There's no advance. Net proceeds (defined as net income plus subrights income less the deductions detailed below) are split 50/50 between author and publisher. - Deductions for ebook edition: "one-time out of pocket title set up costs" (editing, cover art, design, etc. ), plus a "sales, marketing, and publicity fee" of 10% of net sales revenue. - Deductions for print edition, if there is one: "actual direct out-of-pocket paper, printing and binding costs," plus 6% of gross sales revenue to cover freight and warehousing costs. Note that authors are not being asked to pay any costs upfront (despite that scary "out of pocket" term). Hydra "advances" those. However, the costs are deducted from sales and licensing income, and reduce the amount of the author-publisher split. This is reminiscent of what's known as Hollywood accounting, where net proceeds are made to disappear by charging expenses against profit. Authors going into a deal like this can't be certain of what they will earn on a per-book basis--while the publisher is assured that its expenses will be recouped at the point of sale. I should also note that I've seen only one Hydra deal memo to date. But the author who contacted me was given to understand that these are Hydra's (and by extension, Flirt's and Alibi's) standard offer terms, and I've heard anecdotal reports of other authors who've received similar or identical offers. Hydra does seem to be willing to negotiate--but publishers don't usually budge very far on core items like royalty splits. If Random House indeed intends to reach out to self-publishers with these new imprints, it may want to re-think its contract terms. It's hard for me to imagine even moderately successful self-publishers finding a deal like this attractive. If you have an unpublished manuscript that you're shopping to agents and/or publishers, or considering self-publishing, there's no need to register your copyright prior to publication. Well, for one thing, you're fully protected by copyright law from the moment you fix your work in tangible form (write down the words). In countries that have an official copyright registration process--and many don't--registration provides no additional copyright protection. It does confer various legal benefits. Where available, official registration provides prima facie evidence of copyright ownership that can be used in court. In the US only, registration is a pre-requisite for filing a copyright infringement lawsuit. However, you are not in danger of copyright infringement at the submission stage. Many authors have an unreasonable fear of theft by agents and publishers--but good agents and publishers won't risk their reputations this way, and in any case it's easier just to work with you than go to all the trouble of stealing your work and pretending it belongs to someone else. As for bad agents and publishers...they aren't interested in your work at all, only in your money. It's not until your manuscript is about to be exposed to a large audience--i.e., published--that you need to think about copyright registration. If you publish with a larger publishing house, the publisher will take care of this for you. For small presses, you may have to take care of it on your own. Ditto for self-publishing (you may be able to pay the service to register for you, but this will always be more expensive than doing it yourself). By the way, don't be confused by the many faux registration services (such as this one or this one). Whatever datestamping or timestamping they provide is not a substitute for official registration--and possibly won't hold up in court, since it can be faked. So-called "poor man's copyright"--putting a manuscript in an envelope, mailing it to yourself, and retaining it unopened--is similarly useless, though it's often touted online as a cheap registration substitute. One of our researchers has discovered your manuscript titled, [title redacted], registered with the Library of Congress and has forwarded your name to me as a possible candidate for publication with our company. As an author, you are probably aware of (and perhaps have experienced) some of the problems of trying to get your work published by a commercial publisher. Just having your manuscript read by most commercial publishers is difficult and usually involves long delays. Dorrance Publishing Company, Inc. provides a practical alternative for consideration by authors of book length fiction and nonfiction manuscripts, collections of poetry, collections of short stories, children’s books, etc., who wish to see their works in print. The Dorrance name has been associated with a tradition of quality author services since 1920. I welcome the opportunity to discuss our services with you and to review your manuscript to determine whether it meets our requirements for publication, and if so, if we can be of help. You may submit your completed, typewritten manuscript to me for a no-fee, no-obligation review. Also, I will be happy to send you a complimentary copy of our 32-page brochure, Author's Guide to Subsidy Publishing. The brochure outlines our publishing programs, including the manner in which we mechanically edit, design, produce, and promote our books. The email goes on to provide submission instructions. Note that, except for the word "subsidy" in the last paragraph, no mention whatever is made of fees. In fact, Dorrance charges thousands of dollars to publish. For more on copyright, see the Copyright page of the Writer Beware website. Though this report dates back to 2013, CUTVNews is still actively soliciting with offers similar to the one described below, as the more than 150 comments on this post attest. ...a premiere news magazine TV program spotlighting the most successful businesses across America. CUTVNews has featured thousands of industry leaders on our shows. We are a professional News Magazine Show, viewed by millions who continue to be captivated by our intellectual, informative and entertaining storytelling style. Join us! Viewers are eager to watch and learn about your specific business or profession. In fact, Close-up TV News is pay-to-play (see the disclaimer on its website). It produces faux news segments for a fee, which businesses can then use to promote themselves. Several of the testimonials from satisfied customers confirm this--for instance, this one, this one, and this one, all of which refer to the videos as "promotional" or "advertisements"--as does this summary of a recent indictment against a pair of timeshare telemarketers, who allegedly used a Close-up TV News segment to further their scheme to defraud consumers. Done in the format of a news segment for the fictional “Close Up TV News,” the segment was hosted by an actor who played the host of the “People’s Court.” In this fake news segment, the reporter described Creative Vacation Solutions as “remarkably effective” in putting buyers and sellers of timeshare units together. Johnson and Todd played the role of a happy couple who owned a timeshare unit that was purportedly sold by CVS. From what I can determine, authors aren't being solicited for the fake news segments, but for Close-up Talk Radio, Close-up TV News's Blog Talk Radio channel. Authors are told that they are one of just three who've been chosen from a carefully-selected list of 30 writers, with the goal of finding a single author to receive huge promotion and marketing support, including several Close-up Talk Radio interviews, during the month of March. It's promised that this marketing and promo will make them a best-seller. The catch? Close-up claims it will "invest" $40,000 of its own resources in scripts for the interviews, email blasts, and other promotion...but the author must share the burden by kicking in $5,000. And authors must make up their minds fast! The promo happens in March, and Close-up needs an answer ASAP. If the fee isn't a tipoff, the supposed time pressure should be. Pay-to-play schemes don't want you to make a considered decision; they want you to feel rushed, so you'll be more likely to make an impulse decision. Close-up is not unique. Many other pay-to-play media schemes are out there--for instance, Global Talk Radio, where guests pay to be interviewed on Internet radio, and The Balancing Act, the pay-to-play ($5,900) Lifetime TV show. But Close-up's recent solicitations are certainly among the more deceptive I've heard about. Writer beware. Even if they don't try to fool you into buying, this sort of thing is not a good use of your money. To this end, the company offers a range of services, including book production, marketing, and distribution--all of which, it emphasizes, are free to the author. To anyone who is savvy in the wiles of Internet-based publishing, it will be immediately apparent that Blessed Hope isn't a publisher, but an author mill (despite its relatively small--so far--catalog). Its earnest mission statement isn't an expression of faith: it's a cynical marketing ploy designed to draw in Christian writers, who often are more trusting of those who self-identify as Christian. And that's not all. Here, and on every page of the website, Blessed Hope's parent organization is listed: AV Akademikerverlag GmbH & Co. KG. This company, in turn, is a subsidiary of Verlag Dr. Mueller, a.k.a. VDM Publishing Group--a veritable octopus of author mills all using the same M.O., and notorious for their out-of-the-blue author solicitations, eye-popping book prices, crappy publishing agreement, and frequent sprouting of brand-new tentacles (such as Blessed Hope). I've blogged about Verlag Dr. Mueller and one of its tentacles, JustFiction Edition. Others have blogged about LAP Lambert Academic Publishing and Alphascript/Betascript Publishing, whose specialty is turning Wikipedia entries and websearches into "biographies" (here's mine). Bottom line: these companies are the very definition of why you need to always be wary of unsolicited invitations to submit your work for publication. - It's an exclusive life-of-copyright world rights grant term with no provision whatever for rights reversion other than the publisher's discretion in discontinuing publication if sales fall below 50 copies in a year. In other words, the publisher can hold onto your rights for as long as it chooses, and you have no recourse for getting them back. I'm guessing that VDM and its tentacles write few, if any, royalty checks. - If the publisher decides you've breached any of a long list of warranties, it can not only remove your work from sale, but charge you €1,000. If you ever see a disclaimer like this in a publishing contract, it's as good as a guarantee of sales approaching zero. The issue of orphan works--out of print, still-in-copyright books, films, photographs, etc. whose rightsholders can't be found--is one that has been much in the news over the past few years. Orphan works also played a major part in the Authors Guild's recent lawsuit against a number of US universities, which combined digitized books--including unauthorized scans provided by Google--into a repository called HathiTrust. HathiTrust's proposed Orphan Works project, which was intended to make the full text of selected orphaned books available for faculty and student download, was put on hold after the Authors Guild demonstrated that HathiTrust's research process was flawed, and many of the books included in the project weren't orphans at all. The courts subsequently ruled against the Authors Guild on the larger issue of the Google scans, deeming them fair use--but it didn't address the question of orphan works. The Science Fiction and Fantasy Writers of America has long been concerned with the issue of orphan works, and has just provided comments in response to the Copyright Office's Notice of Inquiry on Orphan Works and Mass Digitization. I've reproduced a summary of SFWA's comments below; the full statement (which includes a fascinating discussion of the efforts of SFWA's Estate Project) can be seen here. The problem with orphan works and the use of orphan works centers on the problem of determining when a work is truly orphan and the standards of due diligence required of the prospective user before a work can be used. The majority of the works that are now in question and are proposed to be orphan works are not, in fact, orphans by any reasonable definition. and/or locate the copyright owner(s).” This standard is too low. While good faith is essential, there must be a standard of due diligence for any such search. We suggest that the Copyright Office’s 2005 language requiring “a reasonably diligent search” is more appropriate. As a working definition, we suggest: “An orphan work is an original work of authorship for which a good faith, prospective user cannot locate the owner(s) of the publishing rights it seeks after a reasonably diligent search in a situation where permission from the publishing rights owner(s) is necessary as a matter of law.” For the purposes of this commentary, only textual works for which some or all of the publishing rights owners can be identified will be addressed, as SFWA believes that works in which there is no easily and inexpensively searchable identifying information, such as photographs, should be treated separately. We believe there are several actions that the Copyright Office should undertake regarding orphan works. A) The Copyright Office should define due diligence when it comes to the obligations of a prospective publisher of a work to undertake a reasonable search for the rightsholder. It should be made clear that such due diligence is necessary to determine if a work is, in fact, an orphan work. The initial assumption underlying any search for the rightsholder must be that there is a rightsholder who can be found, and not that the work is an orphan. The Copyright Office should use the rulemaking process to define due diligence. B) The Copyright Office should establish an Author Information Directory containing author contact information and information about authors’ works. The Directory should draw upon existing records and allow authors to easily obtain a unique identification number, and should be searchable by anyone seeking to find a copyright holder. The same approach could be used for photographs and graphic works. C) A process should be established, either through a rulemaking procedure or through statute, requiring payments for use of orphan works into an escrow fund managed by the Copyright Office or an organization it designates. D) The Copyright Office should clarify and simplify the procedure for registering freelance contributions to periodicals, anthologies, and other collective works. 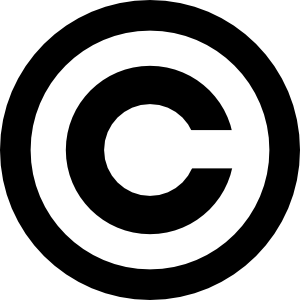 E) The Copyright Office should state, whether as part of a rulemaking on orphan works or otherwise, that failure to perform due diligence in attempting to find the rightsholder should be the most important factor considered when a court determines whether to award enhanced damages for infringement. EDITED 11/19/14 TO ADD: Jerry Jenkins has shut down Christian Writers Guild. A new group called BelieversTrust will be taking over some of CWG's operations, but the future of the publishing program described below is unclear. Earlier this week, a press release caught my eye: Bestselling Author Jerry Jenkins Announces Innovative Publishing Firm. Since "innovative" in publishing press release-speak often means "charges a whopping fee", I decided to investigate. To help aspiring writers achieve their publishing dreams, Jenkins is launching Christian Writers Guild Publishing (CWGP). He says it will be different from other custom publishing houses in that it features Published, a six-month course mentored by an experienced author. When students with works-in-progress complete the course, CWGP will publish their books -- providing a copy editor, proofreader, cover and type designer, eBook formatter, printer, and a free package of promotion, marketing, and social media materials, everything the writer needs for a successful book launch. "This is different from self-publishing," Jenkins says. "It's mentored, coached, and educated publishing. We come alongside through this course and surround them with seasoned industry professionals." According to PW, this new "come-alongside publishing" venture represents an "about-face" for Jenkins, who had previously opposed self-publishing. However, he recently experienced an "epiphany:"
Despite the best efforts of his guild's training, he said, not enough new authors have been able to land deals with traditional publishers, in part because houses continue to insist that authors have a significant "platform." As a result, "good, passionate authors are ignored because they're unknown," Jenkins told PW. I have a feeling that the epiphany had at least as much to do with dollar signs. But I'm getting ahead of myself. At the end of the course: publishing! Before you get too excited, the services included in the CWGP "Premier" publishing package really don't look much different from the lower-end packages offered by most self-publishing service providers. True, there are some extras--copy editing, a book on social media marketing--but the basics--ISBN assignment, design and formatting, cover art, ebook creation--are standard-issue. The Author is responsible for the marketing and distribution of the Work, though CWGP will provide free helps and optional resources to aid in this effort. Even with distribution, $9.995 is a hell of a lot of money. You could buy a similar publishing package from Lulu for around $1,600, or put together an equivalent suite of services a la carte from CreateSpace for around $1,000 (assuming you don't just go ahead and use Lulu's or CreateSpace's free services). As for the writing course, there are cheaper alternatives there as well. The Long Ridge Writers' Group, for instance, offers a similar beginners'-level series of lessons--with a much wider array of qualified instructors, and more course materials--for around $1,200. As always, the important thing when choosing a path to publishing is formulating your goals and thoroughly researching (and understanding) your options. Always remember that when you pay for publishing, you're a consumer purchasing a service--not a writer submitting to a publisher. Consume wisely: don't be swayed by hype, or by the presence of famous names. EDITED 8/10/13 to add: CWGP's URL has changed; it now has a dedicated website. It also now offers a "Master" package for $7,995 and an "Elite" package for $9,995, both of which provide access to "expanded distribution." Writers can also choose 2 (for the Master) or 3 (for the Elite) Author Solutions-style "marketing" options.